Greenhouses are environmental protection instruments, using the greenhouse for the production of plants, vegetables and flowers. These structures are built with different materials such as wood, concrete, iron and aluminum, and by definition are covered with transparent material to allow the passage of sunlight for plant growth and development. These greenhouses are air conditioned and automatically control temperature, light and humidity. NOVUS have the following solutions for the automation of these greenhouses: ? Control of process variables: temperature, light and humidity; ? Recording and onsite monitoring with fully wireless devices; ? 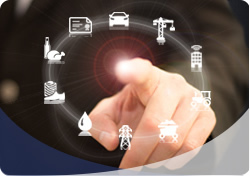 Integration with SCADA supervisory systems; ? Monitoring over the internet using the NOVUS Cloud service; ? Alarm notification via email and SMS.